Tommaso Falcone, MD is chair of Cleveland Clinic’s Ob/Gyn & Women’s Health Institute and vice chair of the Office of Professional Staff Affairs. 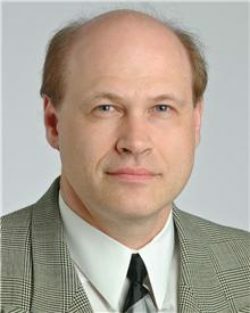 He is also a professor at Cleveland Clinic Lerner College of Medicine at Case Western Reserve University. Dr. Falcone has committed his career to women’s health and female infertility. Dr. Falcone’s expertise in research and surgical skills has earned him international acclaim. He has published more than 500 original manuscripts, abstracts and book chapters. He serves on the editorial board and is an ad hoc reviewer of more than 21 journals. He is co-editor of several textbooks and co-author of patient educational books, Overcoming Infertility, and most recently, co-authored The Cleveland Clinic Guide to Infertility with his daughter. Dr. Falcone was recently honored with the "Distinguished Humanitarian Award" by the Bnai Zion Foundation at a dinner and ceremony held on June 15 in Cleveland, OH. Speaking of Women's Health was proud to sponsor this worthwhile event. This devoted father of five children attributes his successful work-family balance to his understanding wife. Dr. Falcone was born in Quebec, Canada and received his medical degree from McGill University School of Medicine in Montreal. While at McGill, he went on to complete a residency in obstetrics and gynecology and a fellowship in reproductive endocrinology. He is certified by the American Board of Obstetrics and Gynecology in general obstetrics and gynecology and reproductive endocrinology. He is also certified by the Royal College of Physicians and Surgeons of Canada. Due to his dedication to the health and well being of women and for his passion in improving women’s health care, in 2008 Dr. Falcone was awarded the Speaking of Women’s Health – Cleveland “Everyday Super Hero” honor. To request an appointment with Dr. Falcone, please call 216-444-CARE or visit the Online Appointment Request form.